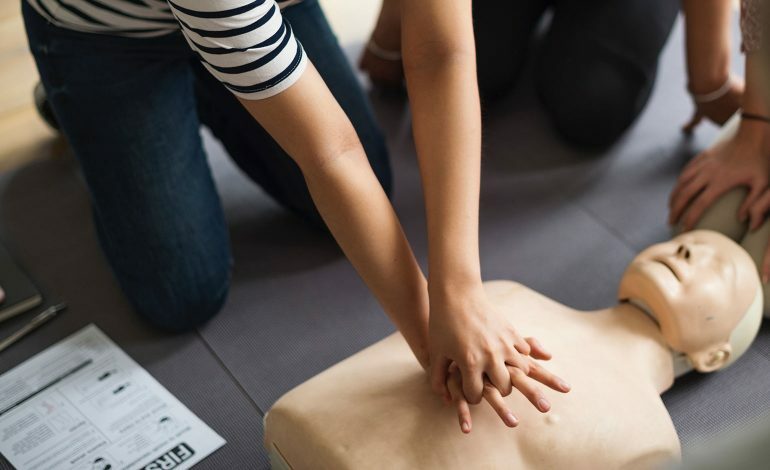 Shoppers in Bath are being encouraged to learn some basic first aid skills during a special event being held at the SouthGate centre this Saturday, thanks to a team of local healthcare professionals. The team of healthcare professionals, led by Senior Sister Natalie Cooper from the Royal United Hospitals Bath NHS Foundation Trust, will be demonstrating basic life support, to teach people what to do in a medical emergency. Natalie, who’s worked in the RUH Emergency Department for more than 10 years, was inspired to organise the event after the death of a family member last year. She will be joined on the day by colleagues from the RUH and South Western Ambulance Service NHS Foundation Trust (SWASFT) to provide hands-on expertise. Natalie said: “After a family member died, I asked my parents if they would know what to do in an emergency situation such as a cardiac arrest. They both said no and that they would love the chance to learn some basic lifesaving skills. “I want to empower the local community to enable them to respond in an emergency situation by sharing some lifesaving skills with them. I’ve saved lives as part of my job and it’s an incredible feeling. On Saturday the medical team will be giving demonstrations of how to give cardio pulmonary resuscitation (CPR), put someone in the recovery position, treat choking children and use an Automated External Defibrillator (AED). There will also be role plays, resuscitation dummies to practice on and an expert team on hand to answer any questions. SWASFT paramedic Craig Wilkins said: “I am delighted to be involved in this event, all of us taking part are excited to share the skills we have with the public. “It will be a relaxed, friendly environment and I’d encourage anyone to take this opportunity to learn skills that one day might save a life. “We all hope to never need to perform CPR, but chances are if we do it will be to those closest to us. We want to improve survivability by enhancing the vital first minutes of an emergency by empowering people in these simple skills. Guy Henderson, centre manager at SouthGate, said: “This is a brilliant initiative to be involved with and I’d like to thank the NHS staff for bringing us on board – it’s great to know that we’re helping members of the public feel more confident should an emergency arise. The free event will be held in the main outdoor area in SouthGate Bath, outside the Apple store, between 10am – 4pm on Saturday 9th February. It is a drop-in event, with no booking required. Donations are welcome on the day, with proceeds going to British Heart Foundation, Stickler Syndrome and the Wiltshire Air Ambulance. You can find out more on the SouthGate website here.